Spielwarenmesse - the Nuremberg International Toy Fair - started today and LEGO has come out strong. 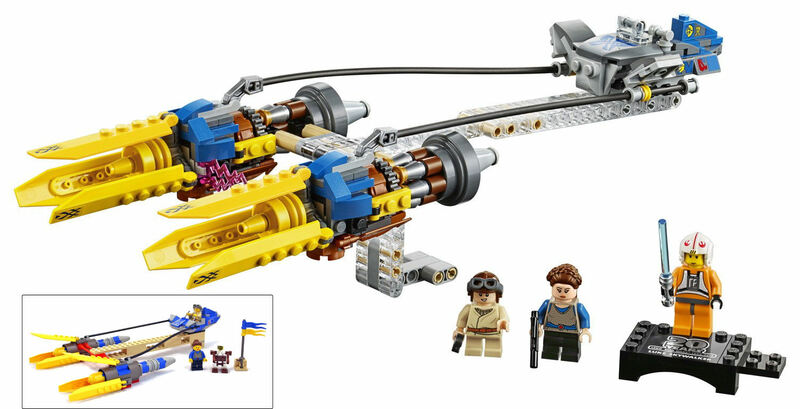 Unlike last year, when LEGO severely curtailed press access and only had a limited amount of Star Wars sets, there is a huge amount of information coming out of the show thanks to stalwarts Zusammengebaut.com, who have been live blogging all the LEGO reveals. All the sets below will be released at general retail on April 1st. The newest addition to the line is the Action Battle sets, a themed series of midway/sideshow builds that have a shooting range appearance. Those that have seen these sets have told us that each has two bases (ready player two?) and puts one faction of the Star Wars universer against the other: Imperial speeder bikes against tree-borne ewoks, and AT-AT with snowtroopers battling Hoth Rebel soldiers with turrets are the hard targets of the first two of these child-like games of skill. 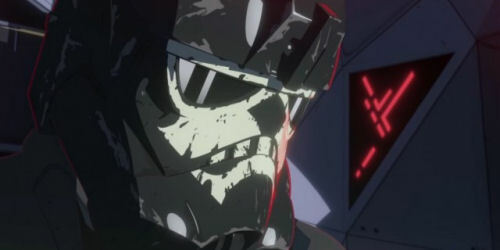 With a succesful first season, and news that a second season has been approved, the inclusion of a subtheme based on this intra Original/Prequel Trilogy television series doesn't come as a surprise. 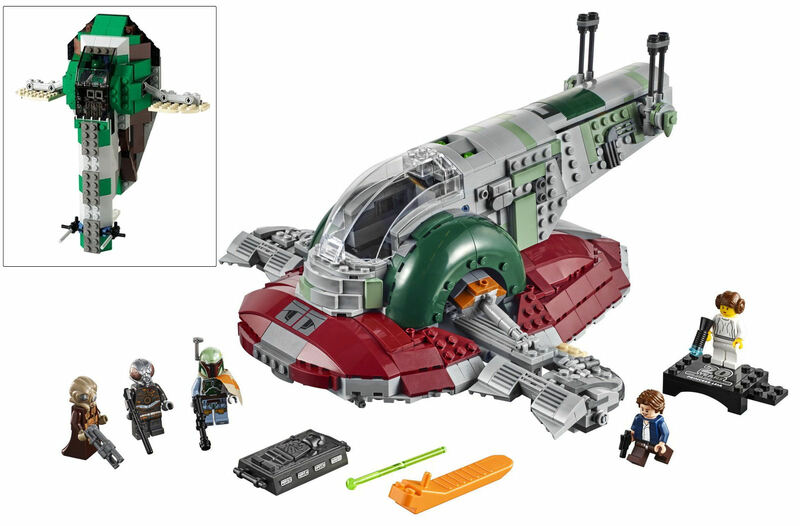 The red TIE Interceptor flown by the First Order pilot Elrik Vonreg will come with a similarly coloured minfig, as well as a Kazuda Xiono minifig, Bucket and General Leia, while Black Ace's ugly includes Poe Dameron, Griff Halloran and BB-8 minifigs. 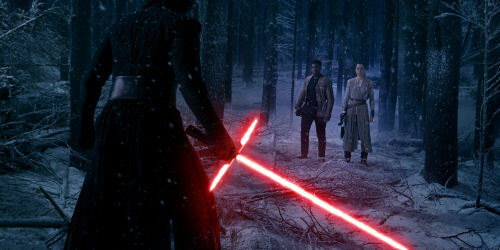 The only Star Wars movie set that isn't linked to the 20th anniversary is a forested playset that recreates the duel between Rey and Kylo Ren, and serves as a reminder of the climactic plot point in the upcoming Star Wars episode 9, due out later this year. 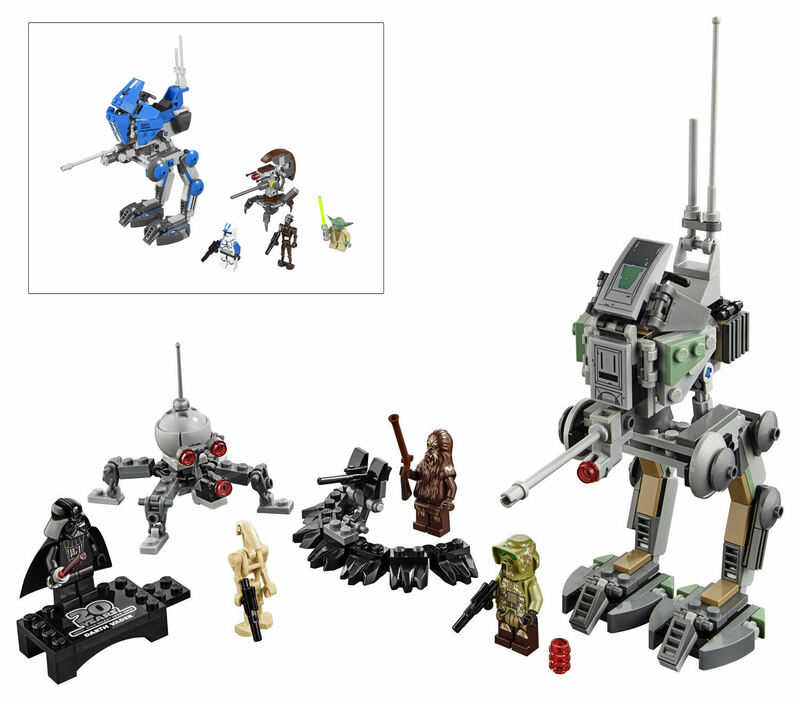 This set is pegged to come with new Kylo Ren and Rey minifigs. The big reveal, of course, was the special edition 20th anniversary line up. This collection of five sets recaptures three of the original 1999 sets, but in a modern format, and revisits two more recent sets. 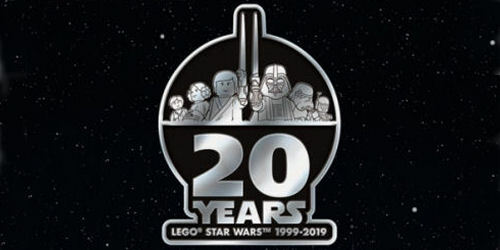 Each will come with a specially designed minifig that captures the originality of the two-decade old line by using the original prints, with the added touch of the 20th anniversary logo at the back of each torso. The print on these minifigs are not a recreation, as the original Illustrator file that was used when they were first issued has been dug out from the LEGO digital archives. Each comes with a display stand. It is worth noting that there was no evidence of any new LEGO BrickHeadz or buildable Figures. 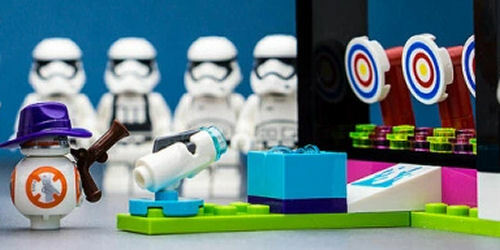 Typically toy fairs only show what is being offered to general retail and any store exclusives are kept under wraps, so if there are Star Wars BrickHeadz or buildable figures coming in 2019 they won't be revealed at any of the toy fairs.